on the south side of Market Street between Third and Fourth Streets. 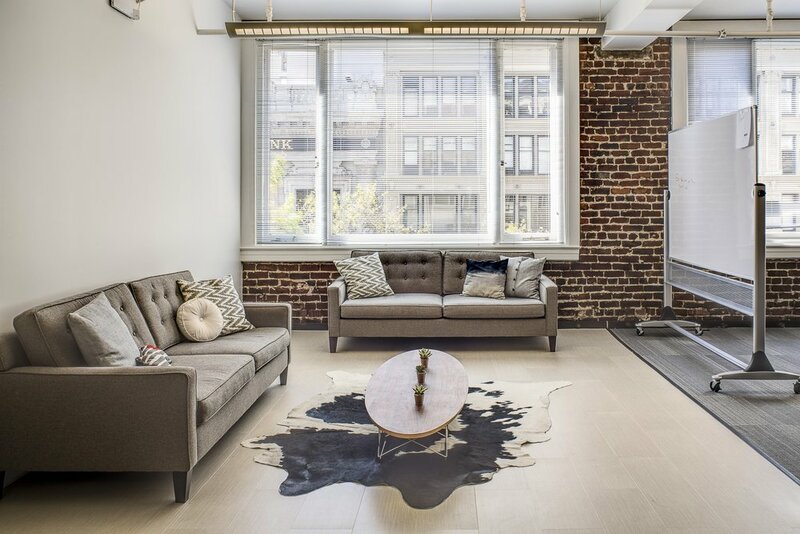 731 Market is a 92,023 square foot creative office and ground floor retail complex CENTRALLY LOCATED BETWEEN SOMA AND WESTERN SOMA. The building is prominently situated on Market Street, offering outstanding visibility and convenient access to public transportation, cultural attractions, dining, retail, and entertainment amenities. Creative property features include side core design, high ceilings, exposed brick, open layout and skylights. At 731 Market, we are committed to energy and water efficiency, waste reduction and the use of environmentally conscious practices and products. We are a LEED Platinum building and we appreciate your continued support in helping us achieve the highest level of LEED Certification. Be on the lookout for ways that you can help us to reduce costs and the environmental impact of our buildings and businesses operations!